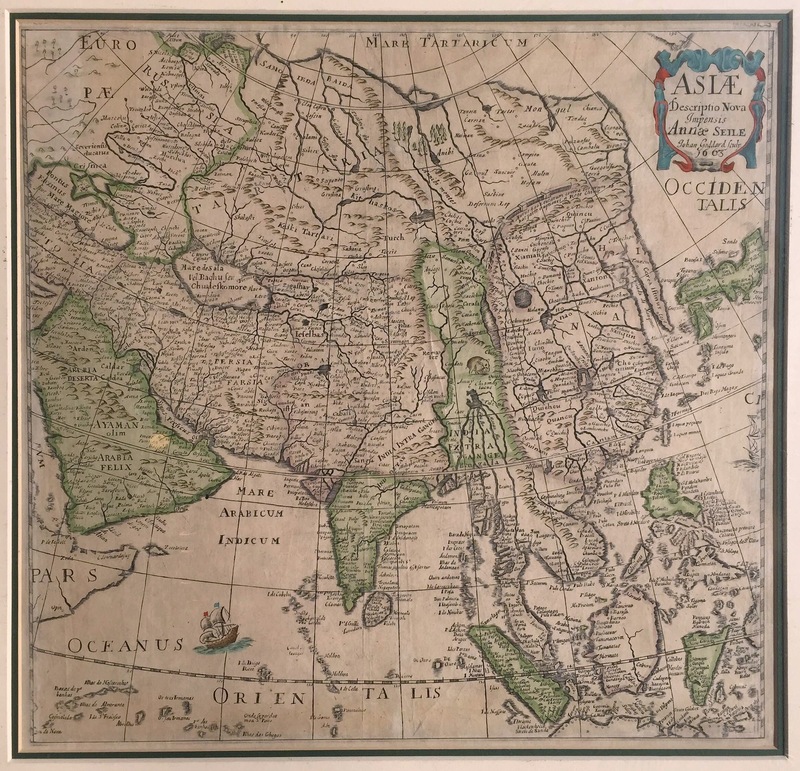 An attrative and very rare coloured mid-17th century map of Asia engraved by John Goddard (1663) for Anna Seile, the wife of the London publisher Henry Seile who took over the business on his death in 1662. The map was published in Peter Heylin’s Cosmographie between (1663-1677). The outline of Asia, which follows Mercator’s model, was little outdated by this time. 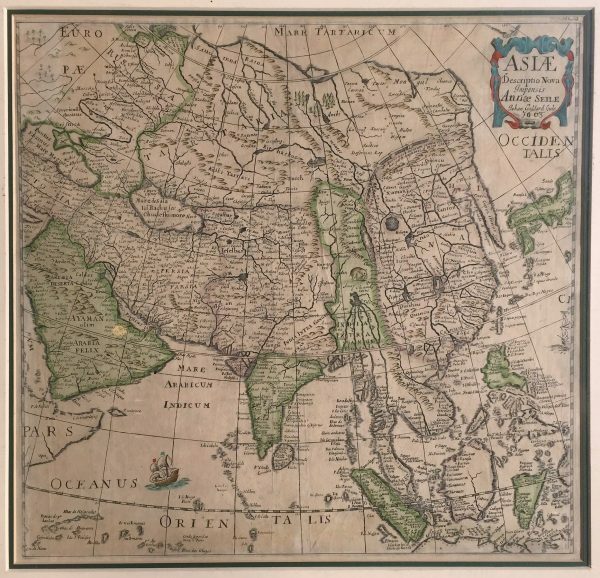 This is a slightly different map to that shown in “The Mapping of the Asian Continent by Michael Sweet (map 55) which measures 140 by 435 whereas this edition is 81 mm harrower in an east-west direction.